Author Archives: Faro & Crowder, PA. Many Americans simply have more debt than they can afford to repay. Despite what you hear, it is rarely due to irresponsibility. No one sets out to accumulate $7,000 in credit card debt, but a temporary job loss, sudden illness or other financial emergency can quickly drain savings and force people to charge normal living expenses. When coupled with student loans, signature loans, payday loans and other unsecured loans, consumer debt in America tops $3 trillion. Since most people can expect negligible wage growth and have little savings, credit card debt can easily push a family over its own fiscal cliff. Even if the debt was not your fault, the bills are still due and something must be done. If paying the bills is not an option, Chapter 7 Bankruptcy may be the answer. In just a few short months, Chapter 7 Bankruptcy can wipe out most unsecured debts including credit cards and medical bills. All that time, your creditors may not take any action against you unless they get special permission from the Bankruptcy Court. After the bankruptcy is over, you still get to keep your house, retirement account, and other valuable exempt assets. We represent individuals, families, and businesses in Palm Bay, Melbourne, the Space Coast and Brevard County, Florida. 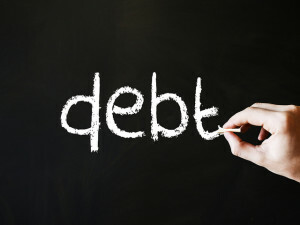 Contact us at our office in Melbourne, Florida to learn more about debt-elimination programs. We offer a free initial consult for bankruptcy to help you learn about your debt relief options and moving forward. This entry was posted in Bankruptcy, Chapter 7, Debt, Melbourne Bankruptcy Attorney, Palm Bay Bankruptcy Attorney and tagged bankruptcy, Brevard County, Chapter 13, Chapter 13 Bankruptcy, Chapter 7, Chapter 7 Bankruptcy, debt, discharge, Faro & Crowder, Melbourne, Melbourne bankruptcy attorney, Palm Bay Bankruptcy Attorney on January 12, 2018 by Faro & Crowder, PA..